Includes: a3000 FC True-RMS AC clamp meter and user manuals. 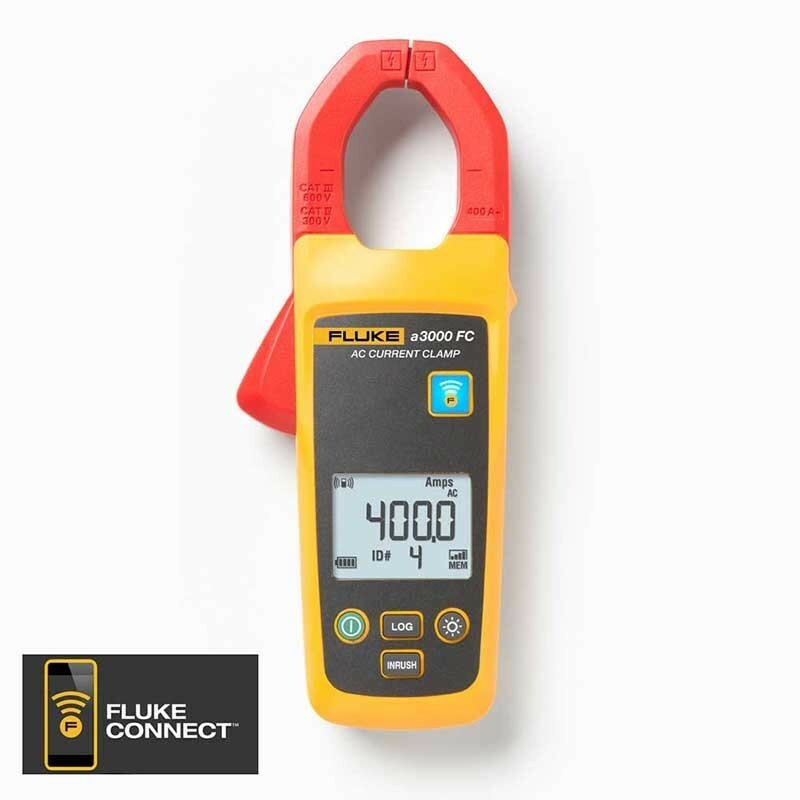 The Fluke a3000 FC Wireless AC Current Clamp Module is one member of a family of wireless test tools that let you share test data using the Fluke Connect® app with ShareLive™ video call. Measure up to 400 A AC. Range 0.5 A to 400 A. Accuracy 400 A: 2% ± 5 digits (10Hz to 100Hz), 2.5% ± 5 digits (100 Hz to 500 Hz). Inrush Max displayed reading: 999.9 A. Safety Compliance IEC 61010-1, 600V CAT III, 3rd edition, Pollution Degree 2. Safety Rating CAT III 600V. Dimensions (H x W x D) 20.3cm x 7.49cm x 3.55cm (8in x 2.95in x 1.4in). Fluke a3000 warranty 3 years.